Quite thrilled to present another release from on of our favorite drummers on the planet, Ben Bennett (following 2016’s amazing solo release “Trap”) this time in duo with one of our favorite current sax players Michael Foster (The Ghost, New York Review of Cocksucking, Andrew Barker Trio, Weasel Walter Large Ensemble, and so much more). This is the second release form this duo following 2015’s ” “, Foster & Bennett straddle a lot of lines…they can handily deliver Coltrane-esque sax & drums blowing and then on a dime turn to intimate extended technique workouts. Both Foster & Bennett exude an intense stage presence that blurs the line between music & performance art, blurs the line between what sounds the saxophone and drums make and more. “In It” is incredibly intimate and intense, there is a sense of vulnerability in the music that makes it feel alive and challenging. Both Foster & Bennett pushing each other to the edges of their comfort zones. This is a true next level sax & drums duo. 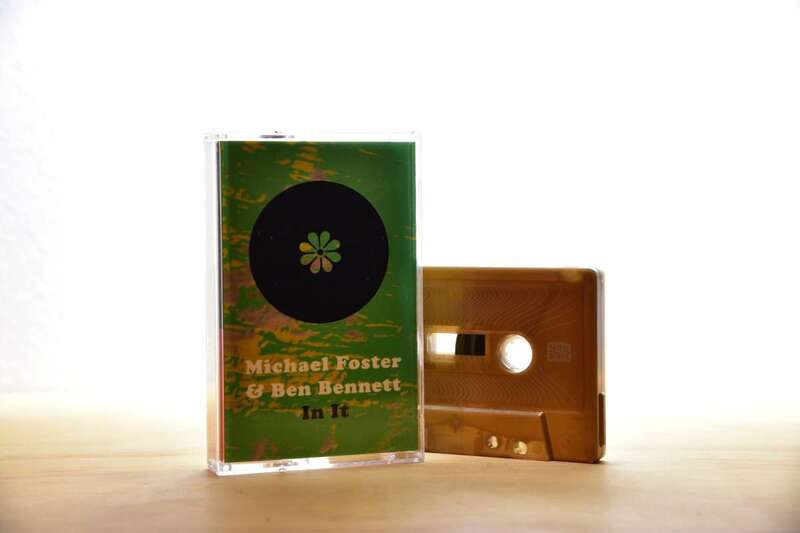 Michael Foster & Ben Bennett’s “In It” is out June 23, 2017 in an edition of 150 cassette tapes with digital download. Review by EYAL HAREUVENI for SALT PEANUTS.